On June 30, organizers throughout the country will host “Families Belong Together” protests in response to the Trump administration’s zero-tolerance immigration policy. 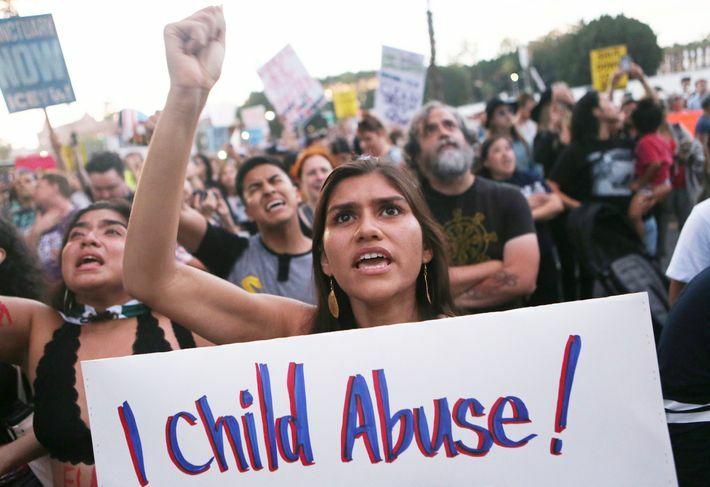 Under the initial iteration of the policy, over 2,000 immigrant children were ripped away from their parents while attempting to cross the border, and placed in detention centers alone. On June 20, Trump signed an executive order ending the family-separation policy — but took no action to address the thousands of families that had already been torn apart. It’s for this reason that organizers of the June 30 protests say that the demonstrations are still necessary to send a message to the Trump administration: Keep families together. Below, here’s what you need to know about the upcoming demonstrations. This year, there are more than 628 protests planned in every state, as well as in international locations, on June 30. Transylvania Indivisible joins its voices with the #FamiliesBelongTogether coalition led by National Domestic Workers Alliance, We Belong Together, ACLU, Leadership Conference on Civil Rights, MoveOn, Women’s Refugee Commission, the Women’s March, and others around the world in a “Families Belong Together” rally. We will support the primacy of family as the basic unit of civilization, protest the policy that is separating immigrant families at the US-Mexico border and demand that those already separated be reunited. Please join us at 11:00 a.m on Saturday, June 30th to stand up for these children and their parents. Wear White. The event will be held at the same time as the lead rally in Washington. Find the closest #FamiliesBelongTogether event to you here. Where: Downtown Asheville, 68 Haywood St.
AN ABUSED WOMAN CAME TO THE U.S. SEEKING ASYLUM. THE GOVERNMENT TOOK HER 5-YEAR-OLD SON. THIS IS HOW SHE GOT HIM BACK.